Mobs sink into the ground. 3. 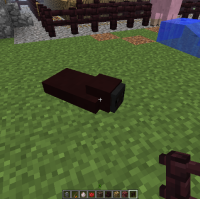 You will start to see villagers and zombies mainly but other mobs too sinking into the ground. MC-12584 Animals Falling Glitch Underground. 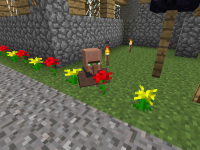 MC-16853 Villagers occasionally spawn with part of their body underground. MC-46263 Chickens Falling through blocks (dirt) repeatedly as if swimming in water. MC-51313 Slimes sometimes fall into the ground. MC-55108 Randomly some mobs will be part-way in the ground. MC-56646 Entities sometimes glitch through the ground. MC-63734 Make that slime blocks, pistons, and entity clipping. MC-321 Mobs lag and go through blocks. MC-763 Villagers fall through the ground randomly. MC-1687 villagers randomly sink into blocks. MC-1765 Player and animals sometimes go through blocks. MC-253 Players appear to be walking through floor when teleporting. MC-295 Villagers still falling through blocks. MC-380 Monsters and NPC's fall into the ground or through ceilings.